Bonded inner microfleece membrane allows natural airflow, while keeping the warmth in and the cold out. Adjustable cuffs, zippered pockets and and stand up collar. Available with a choice of 3 colour options on the piping. Royal Blue, Red or White . Note: Image not available with royal blue or white piping. The women's Maritiz curling jack is a fully breathable soft shell with a bonded inner microfleece membrane that allows natural airflow, while keeping the warmth in and the cold out. 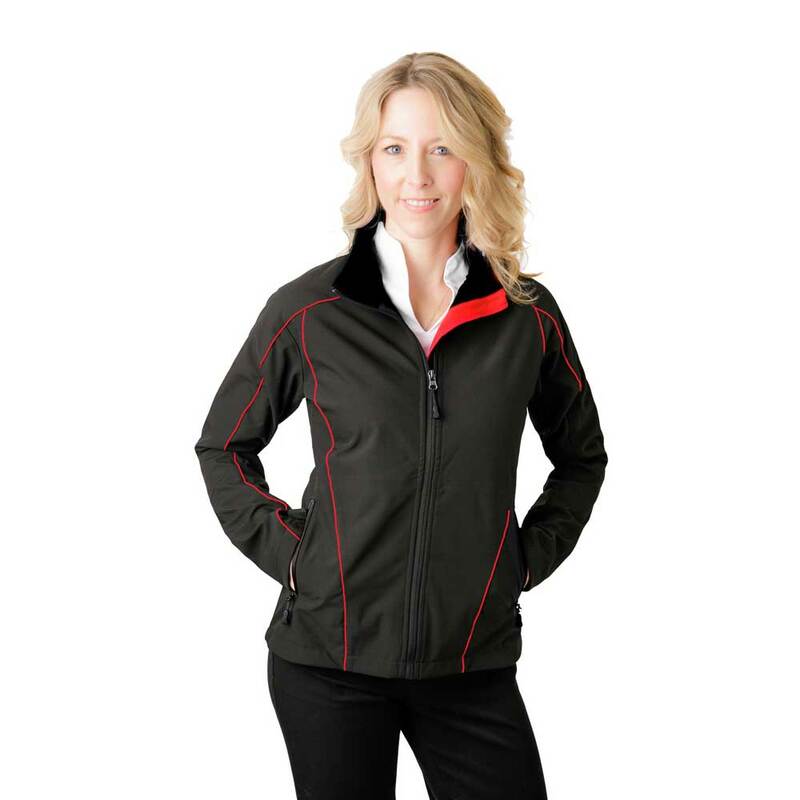 Adjustable cuffs, zippered pockets and and stand up collar. Available in Black with a choice of 3 colour options on the piping. Royal Blue, Red or White.